I thought I would interject something different today before I complete The Universe series. As some of you may know, the first novel in my dark fantasy series is due out September 22nd. I have two sites devoted to the series. First is WakingDreamOnline.Com which is about the two books coming this year — one is a novel and the second is a collection of short stories due on Halloween. The second site is called WayOfTheWeird.Com and it is written from the perspective of one of the characters in my book, who spends his time to convince the reader that the universe is nothing more than a Waking Dream. 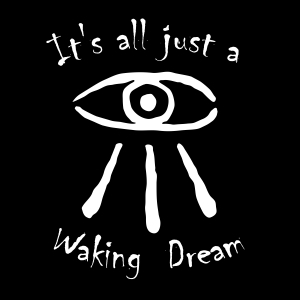 Today I’ve launched a new series of flash fiction related to the Waking Dream series itself. There is a great deal of content on that site, much of which is a distillation of all the things I’ve come to understand about life, religion and science. This story is about a man who has the ability to animate dead corpses and enslave them to his will. This character will also appear in subsequent novels as dark plots are uncovered through the course of the first and second trilogies in the series. I hope you enjoy it, and please feel free to critique. Happy Friday!